Simple Life Country Store, LLC – Unique shopping from Amish Farms all over the country. Unique shopping from Amish Farms all over the country. Welcome to the Simple Life! Featuring Amish Style Natural and Organic Bulk Foods, Farm Raised Beef, Produce, Baked Goods, Rolled Butter, Homemade Soap, Canned Goods, Spices, Honey, Gluten Free Products and much more. Homemade Cashew Crunch and our Amish Fruitcakes made year-round. Simple Life offers Country Treasures from the past and present. Unique shopping from Amish Farms all over the country. On our working family farm you can truly experience rural life. Just a short 3 mile drive than down a country lane from Fort Atkinson and Cambridge Wisconsin. 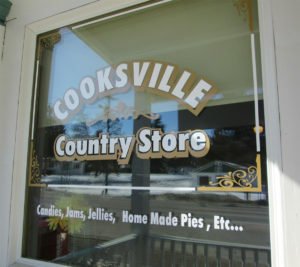 Also visit our sister store in historic Cooksville, Wisconsin.